Look at me on a roll with guest posting lately! Ok, this is only the second one so maybe "on a roll" isn't the best choice of words. Either way, I'm excited to have my good blog buddy Rachael from The Aliso Kitchen guest posting for me! 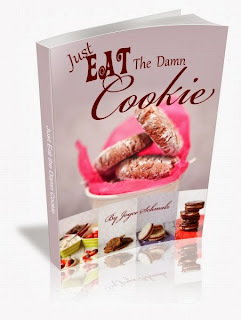 I'm over at her blog today writing about My Biggest Real Food Challenge for her series on the topic. 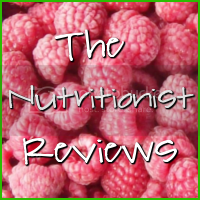 So after you read this post, be sure to visit The Aliso Kitchen for all kinds of awesome recipes, natural alternatives for health and beauty, and real, honest blogging and life and living better. Hello! This is my first post for Happily Ever Crafter, but it’s right at home with some of Catherine’s other posts. I’m Rachael, the blogger behind The Aliso Kitchen, and Catherine and I met on Facebook. We have similar interests regarding homemade beauty products, healthy recipes, and gardening. Today, we’re swapping blogs! For me, she wrote a great post on heranti-green thumb, which is her biggest real food challenge. Today, I’m sharing my kind of messy, but pretty awesome homemade deodorant recipe. Why? Because I love your pits. Conventional deodorants are scary things. They’re full of all kinds of nasty ingredients, and I’m still not sold about rubbing aluminum anything under my arms. These are special things there, like lymph nodes! I have a pretty high breast cancer risk in my family, and I just can’t wrap my head about placing potentially toxic and carcinogenic substances (like parabens and preservatives) near such sensitive areas. Or anywhere, really. But when you head to your natural market, you see that many natural deodorants for sale there have different, but similarly weird and unnecessary chemicals. Plus, their prices are way too high. I’ve seen around the blogosphere. 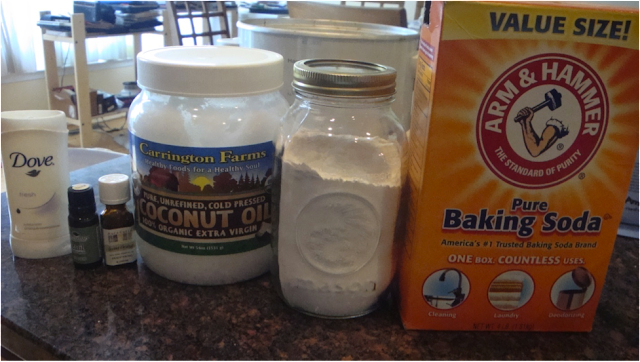 The cornerstone of my recipe is baking soda as it helps eliminate odors and keeps you fresh! You’ll also need one empty deodorant stick. You can purchase them in bulk on eBay or Amazon, or simply clean out an old tube you have! I used an old Dove stick with an ounce measurement so I could travel through airport security with this stuff. Once you good, thick paste, carefully spoon it into your deodorant stick. When done, set it in the fridge for a few minutes so it firms up. That’s it! The only thing I don’t love about this recipe is that it’s a little messy. 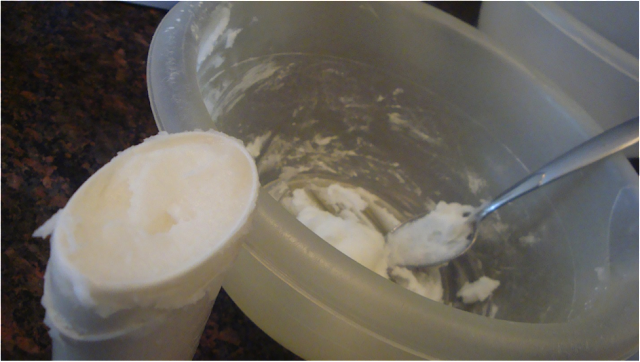 If you live in a hot environment, the coconut oil will melt. 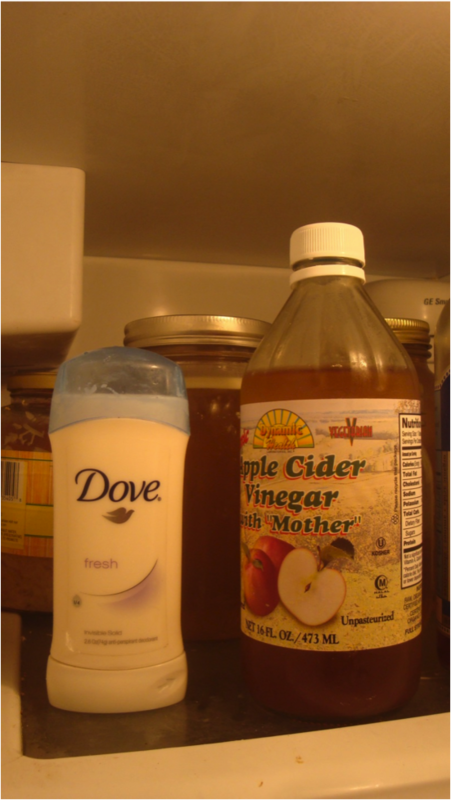 You can remedy this by keeping your deodorant in the refrigerator (weird) or by melting in some beeswax. Since I don’t mind a little mess and do not have any beeswax on hand, I went without. Just a thought! Arrowroot powder and cornstarch are two totally different ingredients that feel and do pretty much the same thing. But, arrowroot powder is not a genetically modified food, and is almost a perfect replacement for cornstarch. You can use it to roll out my yogurt dough cracker recipe, to thicken sauces and puddings, as a base for your homemade foundation, or as a skin-sensitive binder in your deodorant. 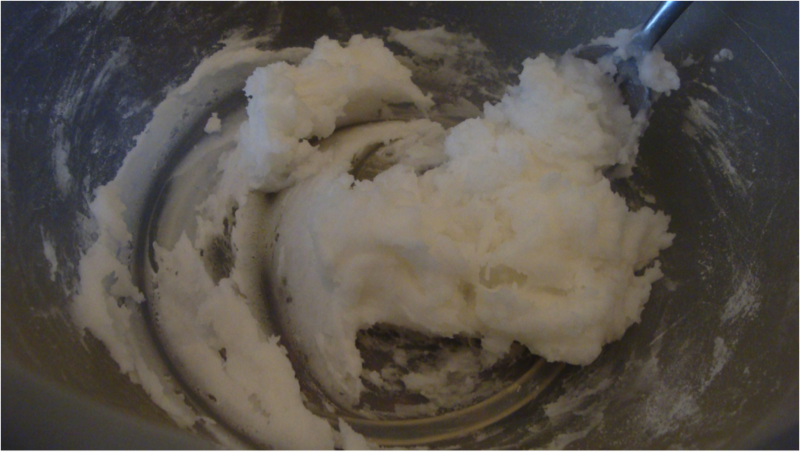 You could always opt to use just coconut oil and baking soda, but baking soda can be a little rough on the skin in large quantities. Arrowroot powder is the perfect filler: it’s safe for your skin, adds the necessary bulk, and is a healthy ingredient to have around. Don’t have a stick to use? 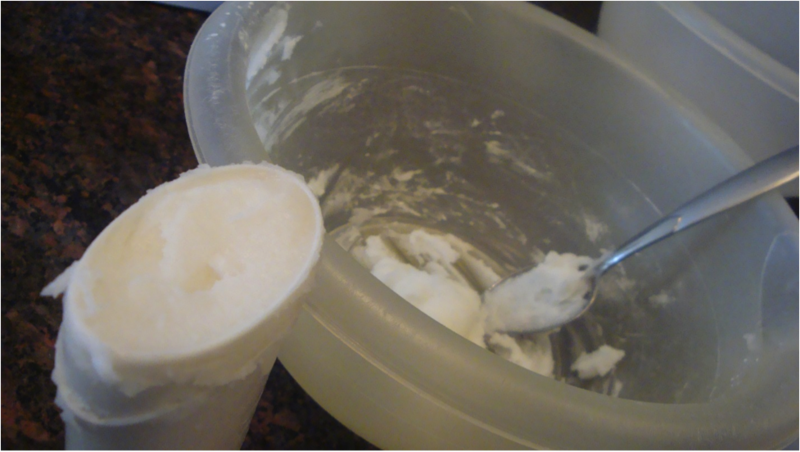 Make a dry deodorant by combining a few tablespoons of arrowroot powder and 1 tablespoon of baking soda in a reusable container. Then, use a makeup puff or cotton balls to dab under your arms when needed. 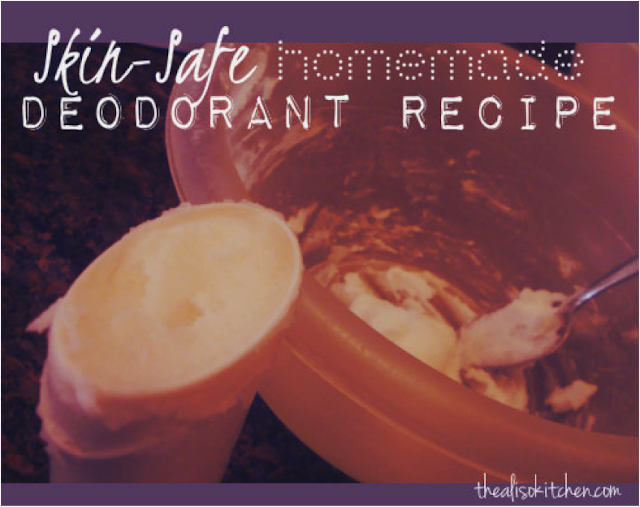 A note on stink: Some people take time to adjust from conventional deodorants to homemade ones. I was surprised how sweaty and funky I smelled while processing out the traditional, chemically laden stuff. It took about a month for that phase to pass, and now this deodorant is strong enough to get me through long days at the cheese shop. Plus, I have no white build-up or residue on my shirts after. That might vary with people, but it’s a cheap, easy, and safe alternative for me! Again, thank you, Catherine, for giving me the opportunity to share this with your readers! I’m excited to meet you all, and look forward to next time! Do you use deodorant? Do you make your own or buy from the store? Have you ever made your own health or beauty products? Tell us below! Thanks again, Rachael for your great post! I'm planning to try this as soon as I pick up some arrowroot powder! I've linked up this post to Wellness Wednesday with Intoxicated on Life, Raising the Barrs, Richly Rooted and Nourishing Treasures! Hello! I am loving your blog. I will have to try some of these! Thanks! Question - do you ever use Lavilin (www.lavilin.com)?